Last year we were approached to rework some songs from the legendary Casablanca Records catalogue. Of course we said yes. So Moullinex, Telonius, Munk and The Phenomenal Handclap Band did four new interpretations of classic tracks by Donna Summer & Giorgio Moroder, Skatt Brothers, Stephanie Mills and from the Flashdance soundtrack! For the project we needed a very special vocalist. There was only one who has the right understanding of history, the perfect dirty approach and enough soul: Our old friend Peaches. And she was totally enthusiastic about that. 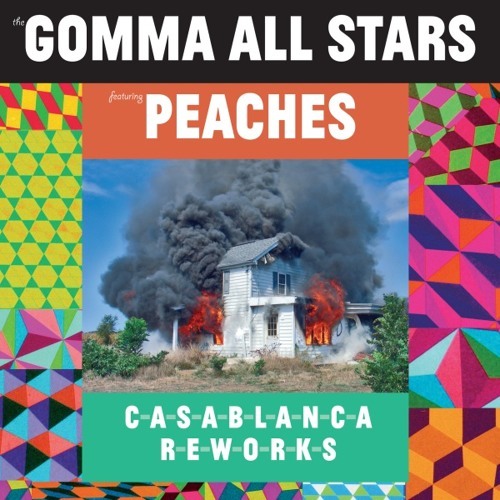 "Casablanca Reworks" will be out on 13 January 2012 on Gomma. nice !!! it work's !! !